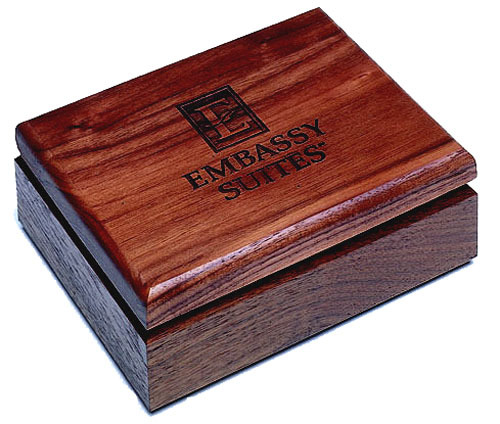 One of our best boxes, this one is just large enough to make an impact. laser engraved with your logo and graphics. Hinged lid and velour lining too. Makes a great jewelry box. Hand made in the USA from solid Appalachian Hardwoods, We can make custom foam inserts to hold your products in place, NO minimums, pricing includes laser engraving. ** NEED SOMETHING DIFFERENT ** We can design any item to fit your specifications.